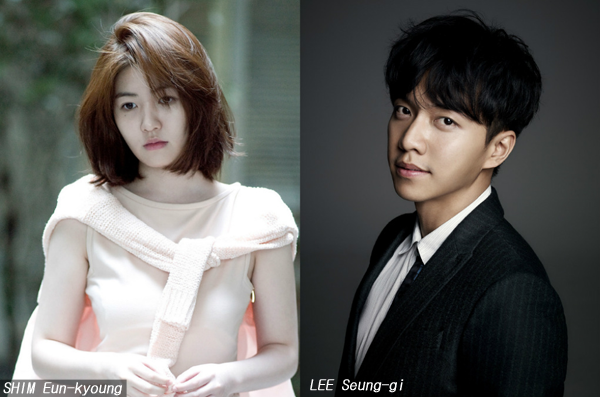 Rising star SHIM Eun-kyoung has added another project to her busy slate, this time the period romantic comedy Marital Harmony, which will see her pair up with TV star LEE Seung-gi. Taking his first shot at bat will be director HONG Chang-pyo, a prolific assistant director who most recently worked on The Huntresses. Joining the previously announced stars will be KIM Sang-kyung of Memories Of Murder (2003), Tunnel 3D’s YEON Woo-jin, PARK Sun-young from Addicted (2002), KANG Min-hyuk of Acoustic (2010), Big Match’s CHOI Woo-shik, C’est Si Bon’s JO Bok-rae and SHINee K-pop group member Min-ho. SHIM rose to prominence as part of the ensemble of Sunny (2011) and fully broke out with her leading role in the smash hit Lunar New Year comedy Miss Granny last year. Before Marital Harmony she will be seen in thrillers Missing You and Fabricated City, and also heard in YEON Sang-ho’s upcoming animation Seoul Station. LEE, who scored a hit with his first feature outing earlier this year when he appeared alongside MOON Chae-won in romcom Love Forecast, is a major TV star who has built a major fan base through his K-Drama appearances. Marital Harmony, which is being produced by Jupiter Film, began shooting on September 9th and is being prepared for release next year.